The VWOA has had many activities over the years including in-person meetings, presentation of awards, production of publications and support for historical and charitable causes. 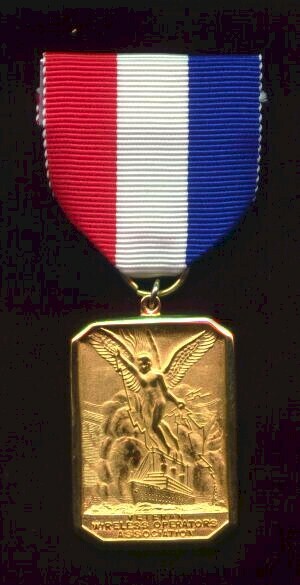 Recognition of others . . .
VWOA members maintain the monument in New York's Battery Park commemorating those radio and wireless operators who have perished with their ships. Currently the monument is being restored and will be reinstalled in a prominent location. 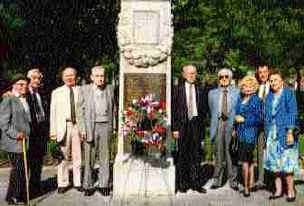 The photo shows one of the memorial services at the monument with services led by a Chaplain from the Seaman's Church Institute. 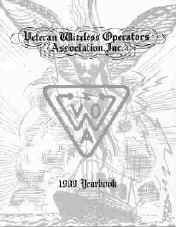 For 90 yars, the VWOA presented awards to individuals for their contribution to communications. 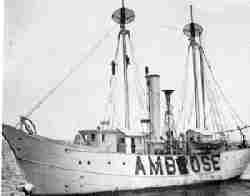 Recipients, both men and women, have included famous inventors, technology innovators, teachers, historians, military officers, and radio operators who have participated in sea rescues. Click on the buttons on the left to see some VWOA awardees. 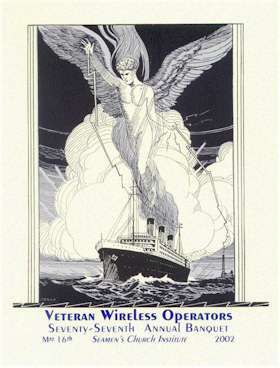 VWOA members serve as volunteer "Sparks" demonstrating the radio equipment aboard the lightship AMBROSE in New York City's South Street Seaport. 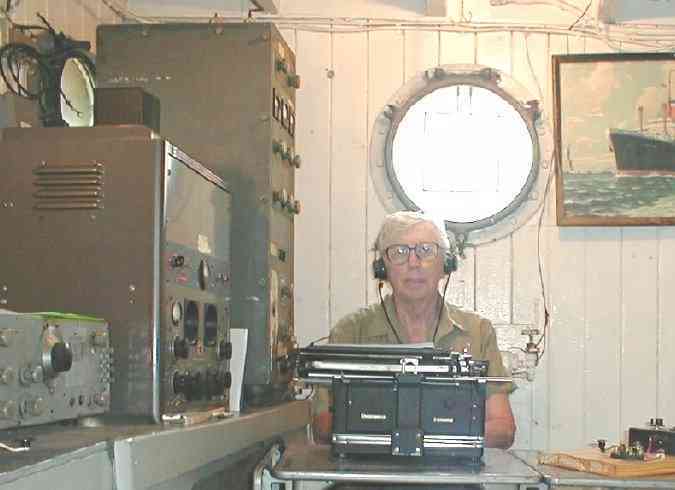 VWOA member Miles MacMahon, SK, is shown above in the radio room aboard the Ambrose. 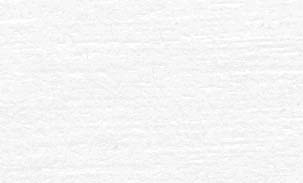 Click on the picture to see a larger image. The VWOA is a frequent consultant to authors, scholars, film makers, and producers on all facets of the history, developments, traditions, future, and trends in communications. The VWOA has also produced its own videotapes. The VWOA has published a bulletin containing a wide range of information about historical radio communications. The VWOA published an annual yearbook in conjunction with the annual awards banquet. The VWOA continues to support historical, educational, and charitable organizations and projects.